I am lucky enough to live in the Bay area of California, so our winters are pretty mild. That being said, I am tired of chilly weather and I want spring to come! One ways I have been battling the winter blahs is by trying to infuse candy colored pastels in to my wardrobe mix. Try rocking mint green jeans with your sweater or a nice cotton candy pink hijab with your neutrals. 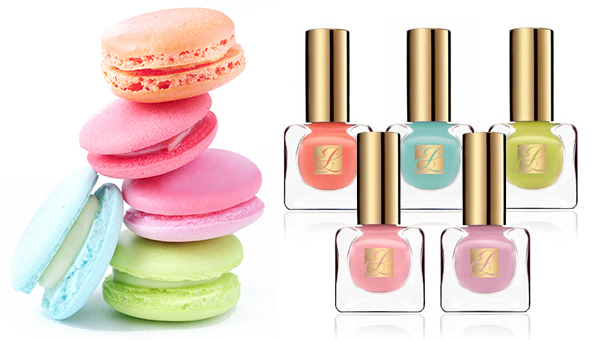 Another great way to welcome spring a little early is by rocking some amazing new candy colored makeup trends. I personally love rocking different nail polish colors. I have rocked anything from greige (gray/beige) to black. Right now, you can find periwinkle gracing my toes and cantaloupe on my finger tips. You can even try pastel eyeliner! Try placing some on top of basic black for eyes that really pop. I guarantee it will make your day just a little brighter.